Jewish Prayer on the Temple Mount Now! Last week UNESCO held a truly infamous vote to de-Judaize Jerusalem and the Temple Mount and was quickly condemned by Israeli Prime Minister, Benjamin Netanyahu by declaring UNESCO “The theater of the absurd”. The truth is that the State of Israel set the stage for this vote long ago via its anti-Jewish policy on the Temple Mount. Jews who come to visit the Mount are harassed and Jews who are found praying or worshiping are arrested. Should UNESCO and other international organizations be held to a higher standard than the Israeli Government? In light of the recent UNESCO vote against the Temple Mount and Jerusalem, the time has come for the legalization of Jewish prayer and worship at the site. The Temple Mount is the holiest site in the world for the Jewish people, yet the Muslim authorities, aided by Israel Police, systematically deny the right of religious expression on the Mount to Jewish People. •	Only Jews are forced to present their ID’s to the police. •	Only Jews are forced to wait an extended period of time before being allowed through security. •	Only Jews are forced to undergo humiliating strip searches to check for hidden religious items. •	Only Jews are followed and harassed by Israeli police and Muslim Wakf guards throughout their entire visit on the Mount. •	Only Jews are arrested for crimes such as prayer, closing eyes, bowing down or singing. •	The Prime Minister of Israel has failed to include the Temple Mount in his own "Heritage Plan," among those sites of historical, cultural and religious significance to the Jewish people, to receive enhanced government budgeting for the improvement of access, upkeep, and beautification of the sites. 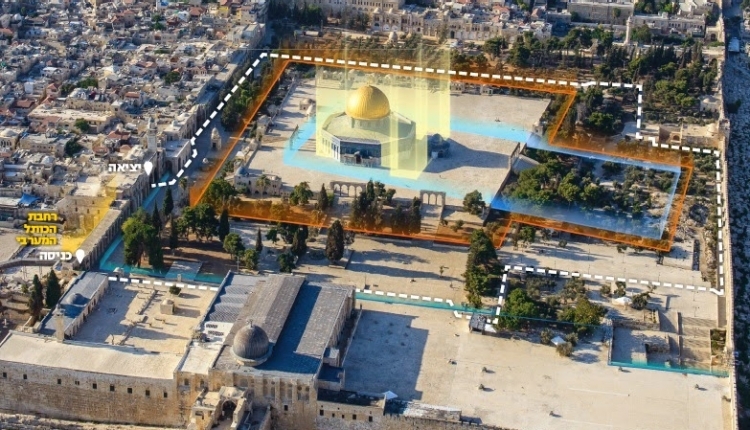 How can Israel expect the international community to respect the connection and sanctity of Temple Mount to the Jewish Nation, while at the same time the Israeli Government arrests and humiliates Jews who come to visit and worship there? We, the undersigned, call for the immediate renewal of Jewish Prayer on the Temple Mount. The Jewish Prayer on the Temple Mount Now! petition to Government of Israel was written by Yosef Rabin and is in the category International Affairs at GoPetition.